The cuisine in India is as vast and wide ranging as its multi ethnic culture. The delicious and the exotic dishes of India are marked by the subtle uses of spices and herbs. 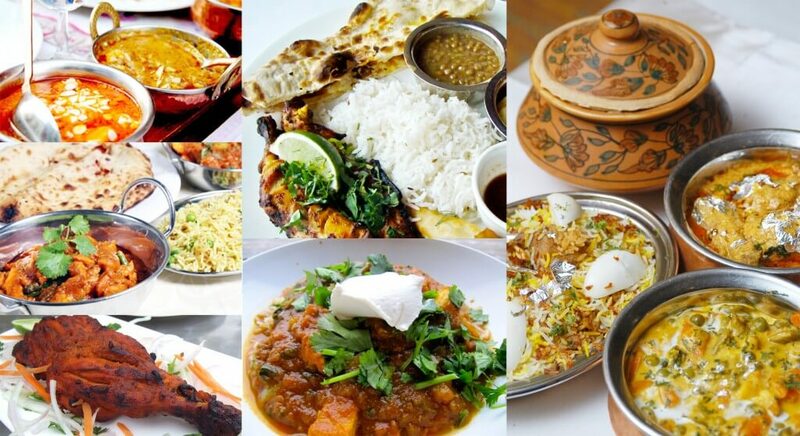 Indian cuisines vary widely from region to region. Different regions adopt different cuisines. India is proud to serve the most diverse cuisine in the whole world. Every region has their own specialties and different way of cooking. The style of cooking, flavor and their specialties change with the landscapes. Most of the Indian cuisines are vegetarian but the Indians also love non-vegetarian delicacies cooked out of fish, lamb, goat, chicken and other meats. Food has always been important to the culture of India. A wide variety of dishes are prepared from fishes. Hilsa is the most popular fish in eastern India. Mostly available during the monsoons, this is famous for its unforgettable taste. Several delicacies are made of Hilsa, and also other popular varieties of fishes like: Rohu, Vetki etc, which are sure to tickle your taste bud. Plenty of vegetables are also grown in this part of India. Vegetables also form a substantial part of Eastern Indian meals. The spices used in their cuisine are also markedly different from those used in the other parts of India. 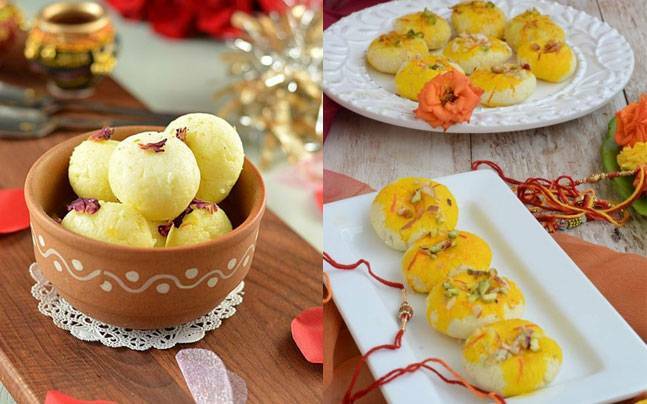 Sweets are a striking feature in Eastern Indian Cuisine. The people from the eastern region seem to have a sweet tooth. 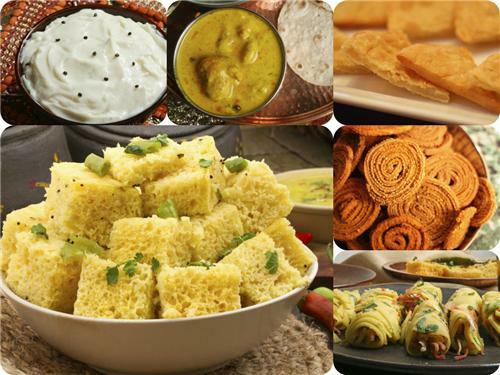 Most of the eastern Indian cuisines have a tendency to be sweet. In West Bengal, Rasgulla is a fantastic delicacy that has earned global acclaim. You may also try Mishti Doi (sweetened yogurt) while in eastern region of India. In Gujarat region and of course Mumbai you would find Parsi influences in their cuisine. Vegetarian dishes like Pav Bhajis, Bhel puris and Dhoklas are gourmet's delight here. Due to concentration of the Jains in Gujarat, the state excels in vegetarian cuisine with the subtle use of spices and rich texture. In the coastal areas of Maharashtra and Goa, sea fishes are available in abundance. Preparations of sea fishes marinated in tantalizing spices are sure to tickle your taste buds. Goa , with its signature Portuguese influence has specially won the heart of food lover through stomach with the exotic seafoods including crab, prawn. The food of Rajasthan is rich in spices. But if you can brave a little spicy affair, you may be able to enjoy the Rajasthani cuisine. Lots of oil, ghee, butter along with rich spices are used as the medium for cooking which lend the north Indian food a very strong flavor. Meat also enjoys a special place in north Indian cuisine. A variety of Kebabs and Biriyanis (a tantalizing marinade of rice and meat) bear the Mughal legacy. Samosa is possibly the most popular snack in north India. Lassi is another beverage made from curd, which has an overwhelming taste. Gulab Jamun, Motichur Laddoo are popular sweets in this region. Some interesting north Indian dishes are Reshmi Kabab, Seekh Kabab, and Shammi Kabab, Kashmiri Pulao, Tandoori Chicken and Mutton to name only a few. South Indian cuisine is equally popular in other parts of India. In other parts of this country, ask anyone for which other Indian cuisine they would prefer for a change. Most would reply 'South Indian'. Four different states, like: Andhra, Tamil Nadu, Karnataka and Kerala constitute of the southern part of India. There are four different schools too in south Indian cuisine. So south Indian cuisine is a vegetarian's delight. Another striking feature in south Indian cuisine is the use of coconut oil. Coconut oil lends the south Indian food a very special flavor. In most of the delicacies, coconut is also used profusely. Rice is staple food here too. 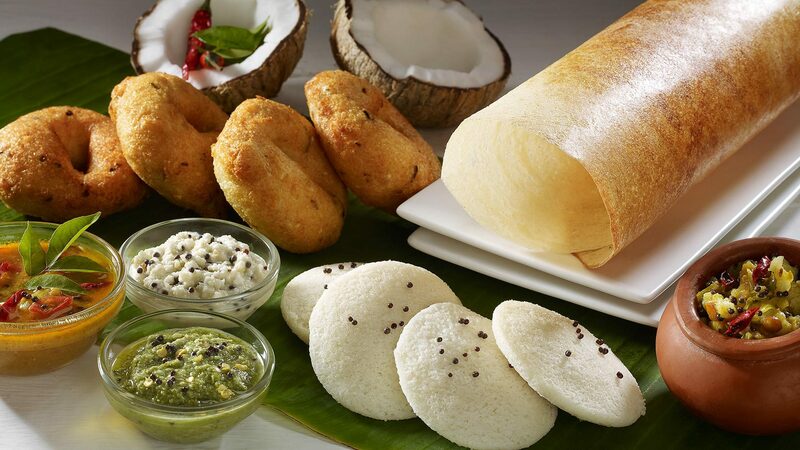 Idly, Dosa, Vadas and Uttapams, made from rice ground with lentil, are popular south Indian specialties, mostly in Tamil Nadu. Also try spicy, oily and aromatic Chettinad cuisine while you are in Tamil Nadu. In some parts of South India like Andhra Pradesh, Biriyani prepared from rice and mixed with meat is a masterpiece. The dish has a rich heritage of Mughal association. In the Malabar coasts, like Kerala, they make fantastic delicacies of sea fish including crab and prawn. The strong aroma of spices is another charm of cuisine of Malabar Coast.